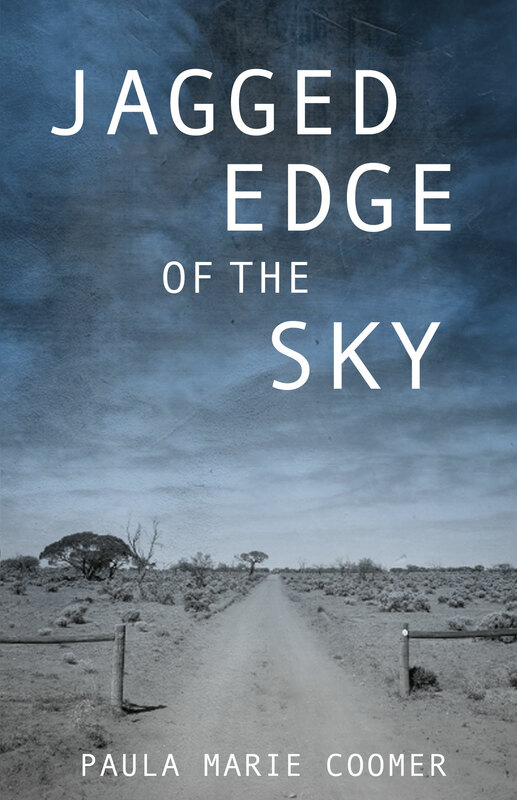 In Paula Coomer’s Jagged Edge of the Sky connections of blood and circumstance emerge from a kaleidoscopic narrative in which an array of interconnected characters navigate rugged personal terrains of loss and hope. This fractured family saga told and at times re-told from 16 different perspectives, transcends continents and time periods in an intricate exploration of family, relationships, identity and all the ways in which inner and outer landscapes merge to create the lives ultimately lived. With a relentless eye, Paula Coomer flinches from neither the gruesome nor the humorous in this fractured tale of loners, siblings, parents, and lovers. To set up a presentation, book signing, book club discussion , or reading of Jagged Edge of the Sky, contact Jodi Thompson at jodi.thompson@fawkespress.com. Q: Jagged Edge of the Sky begins with a woman delivering a baby in an old loft. The chapter is less than a page long. It’s the only chapter that is so succinct, yet it is fundamental in terms of completing the story’s arc. Can you talk about why you used this technique? What you hoped to accomplish with it? A: I thought starting the book with that very succinct chapter would prepare the reader for an unusual journey. It sets a sparse tone, mimicking the emotional and geographic landscapes prevalent in the book. Q: What or who inspired the book? A: Two people, both total strangers I met by accident. A: The actual writing took about five years. Q: How did you accomplish such a vivid portrayal of Australia? Did you travel there? What was your research process to make sure your depictions of time and place were accurate? A: Once the idea presented itself, I began researching Western Australia, its history, its people, geography, climate, etc. I explored newspaper accounts of famous floods. Read dozens of books, watched hundreds of Australian films, studied more than a thousand photographs. So much of the material just found its way to me—there is no other way to say it. My husband and I marveled at how all that time Australia-related stuff (for want of a better word) simply showed up in our lives. All that took five years. Q: What sparked your interest in writing about Australia, in particular Western Australia? Do you see a comparison with the western U.S.? A: My interest in Australia began in the 1990s with Marlo Morgan’s book Mutant Message Down Under, which is a late-20th century narrative written by an American physician who went on walkabout with a band of aboriginals who stopped reproducing because of the catastrophes they foresaw coming to the planet. I have a copy of the original self-published edition, which is labeled as a non-fiction. The book was picked up by Random House, is now marketed as a fiction. No clue why the switch was made, but I was completely moved by the aboriginal relationship to the land and by the changes to the physician’s body as she adopted their patterns of living. I understood their connectedness to the natural world. I felt at home in those pages. The comparison I see with the western U.S. has to do with the amount of blood in the soil. Australian aboriginals were hunted down by the British as if they were vermin, as Indian tribes were in the U.S. Also, geographically, the western portion of both nations consists of large, open, harsh, sparsely populated places mythologized for the extent to which the landscape attracts visionaries and loners. Q: Can you speak with an Aussie accent? How did you capture the dialog in the book? A: I do not speak with an Aussie accent. In my bathroom in front of a mirror, yes. In public, can’t make it happen. We have people in our area who come from Australia, so whenever I’m around them my hearing becomes hyper-attuned. Otherwise, I’ve studied the language by listening to film actors in the two hundred or so Australian films I’ve watched. Happy to say the book’s proofreader, who grew up near where the novel is set and still lives in Australia, gave me thumbs up. the writing of Dove Creek, but how did that background influence Jagged Edge of the Sky? of his or her own existence, despite obstacles and disadvantages. of the sky.” That line glowed with a bit of an aura. I knew that was it. more to tell? Do you envision more chapters to the saga? be decades, and I’m already facing sixty. I doubt there will be time. require me to be separate, to vanish into it. a decent rough draft, they took me back. Q: Who are your favorite living writers? Why? A: Lidia Yuknavitch and Lance Olsen. Because they are cultural trailblazers. They both were instrumental in teaching me that the shape of the story is not what is important, what’s important is breaking it open to reveal the unexpected. The goal of a story is to jar the reader awake. They taught me that what is real is not what we’ve been told is real, and what is real to you is not real to anyone else. That makes you responsible for telling the truth as only you can, and in a way that only you can. Q: Who are your favorite “writers past,” or late writing predecessors? A: Franz Kafka. James Joyce. Italo Calvino. Virginia Wolff. Beryl Markham. Adrienne Rich. Anne Sexton. Sylvia Plath’s poetry, but not her prose. I love Octavia Butler and Margaret Atwood. Clarice Lispector. Plenty of others, but, I have to say, my all-time favorite remains John Steinbeck, as predictable as that is. He remains to me the Woody Guthrie of the literary world. He understood the plight of the unknown, the uncelebrated, and the rural. Q: What advice do you have for people who want to write but are afraid to start? A: Writing is something we should all be doing. It’s part of keeping a healthy mind. You might just write something that will matter—to yourself and the rest of us. In that case, what right do you have to hold back? Come to one of my workshops. I’ll stand by just in case any bad monsters emerge from the wallpaper and try to cart you off.